Products such as shampoos, deodorants, moisturisers, make-up, perfume and other cosmetics are part of our everyday grooming. Surveys suggest that the average adult uses at least five different cosmetic products each day. Although cosmetics can help us feel cleaner and more attractive they can also cause allergic reactions and skin irritation. Specific ingredients such as fragrances and preservatives used in these products can act as allergens; the substances that trigger allergic reactions. There are two recorded allergic reactions that can occur following exposure to cosmetics, these are: 'irritant contact dermatitis' and 'allergic contact dermatitis'. The term 'contact dermatitis' is a condition marked by areas of inflammation, redness and itching that occur as a result of the product coming into contact with the skin. 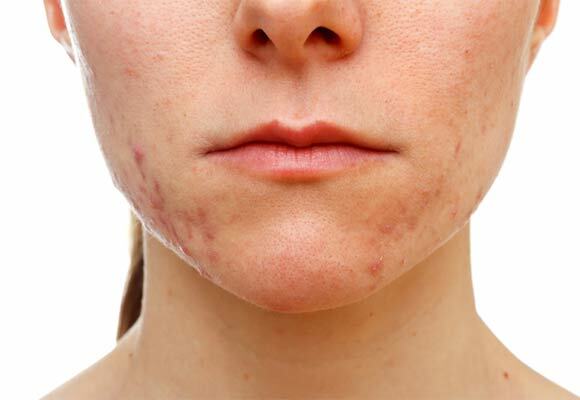 Irritant contact dermatitis: This is more common than allergic contact dermatitis and can occur in anyone and most people will experience it at one time or another. It develops when an irritating or harsh substance actually damages the skin. Irritant contact dermatitis usually begins as patches of itchy, scaly skin or a red rash, but in its more severe form it can develop into weeping blisters, especially if the skin is further irritated by scratching. It generally occurs where the product has been applied. Areas such as eyelids or underarms where the outermost layer of skin is thin or where the skin is dry and cracked already, are more susceptible to irritant contact. Allergic contact dermatitis: This is more serious and occurs in people who are allergic to a specific ingredient or ingredients in a product. Symptoms include redness, swelling, itching and hive-like breakouts, which if the allergic reaction is strong can leave the skin red and raw. Generally cosmetic allergies are most likely to occur on the face, eyes, lips,ears and neck which are the most sensitive areas but they can occur anywhere on the body. The time it takes for symptoms of irritant contact dermatitis to appear varies, depending upon the type of product. For stronger irritants, such as perfumes, a reaction may appear within minutes of application. However, it may take days or weeks of continued exposure to a weaker irritant, such as mild soap, before symptoms appear. It is not uncommon for someone to develop an allergic sensitivity to a product after using it for years with no problem. With irritant contact dermatitis, the skin breaks down when it comes into contact with the harsh substances, most often chemicals that directly injure the outer layer of the skin, resulting in allergy like symptoms. However allergic contact dermatitis occurs because the body's immune system is reacting against a specific substance (the allergen) that it considers to be harmful. Serious cosmetic allergies are however rare, but it is quite common for a person to have a mild reaction or irritation to an ingredient in a cosmetic product. Unsurprisingly cosmetic reactions are more likely to occur in women than men, simply as a result of greater product usage.